Garbage men are present every day in our lives. We meet them all the time, dressed in the fluorescent clothes, but in spite of that, they seem to be invisible. As the part of the urban environment, in Jaune’s work they are leaving their jobs and getting into funny, absurd adventures. Instead of cleaning, they are making the mess, climbing the buildings, throwing the garbage bags. Jaune inverts different everyday occasions, giving them a new meaning. 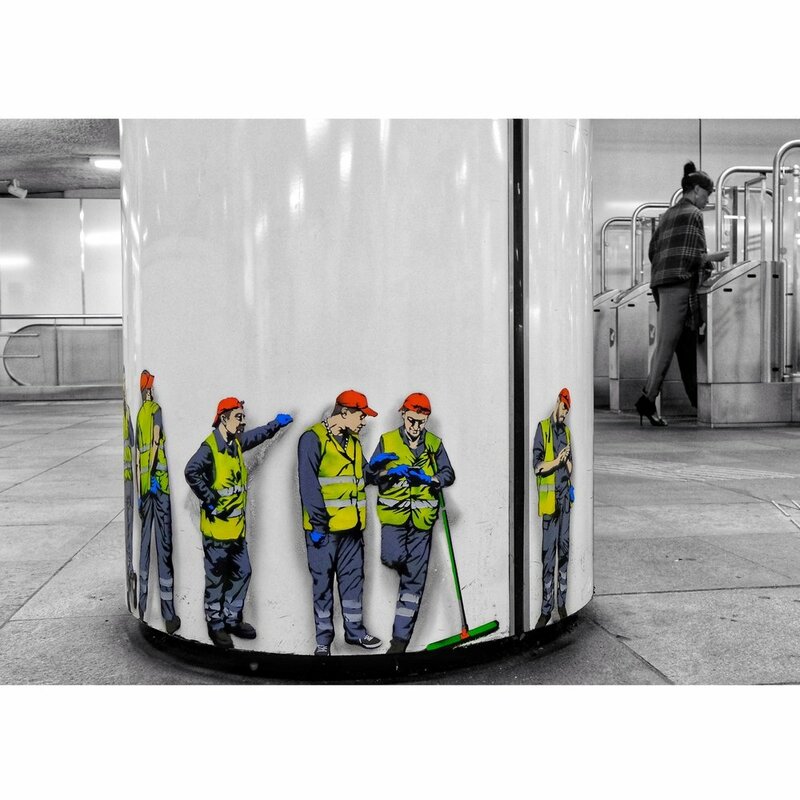 With his humorous images, he represents one more interesting life on the streets.